Who Will Be A Donor To Charlie Crist’s Campaign Next? Boko Haram? This is ridiculous. It really is. It seems as though Charlie Crist’s political life is constantly surrounded by shady characters. I’m beginning to think the next campaign to “Bring Back Our Girls” will be directed to the Crist Campaign! It seems like he will do ANYTHING for money! With the latest revelation about a donor to his campaign, Onajite Okoloko, a Nigerian who has questionable ties to a laundry list of shady characters, Crist having connections to Boko Haram would not surprise me one bit! Now, mind you, as of today, Crist hasn’t had any connections to the terrorist group surface, but the point I’m trying to make is, how deep in the mud is Charlie Crist willing to go for money?? What wouldn’t he do? 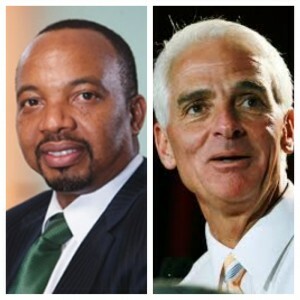 The website Gossip Extra ran an earlier story about Onajite Okoloko and his ties to the Crist Campaign. I know, I know, the first thing you want to say is that Gossip Extra is just that, a gossip site. Remember, though, today’s gossip is tomorrow’s news, and that was clearly the case because Marc Caputo of the Miami Herald ran gossip Extra’s story surrounding this mysterious Nigerian donor on the Tampa Bay Times’ website. Well get this, Gossip Extra ran an update to the original story that shed a little more detail on the donation, and the various ties to Okoloko. Talk about “shadowy”! I use that word because just about every major news outlet has called Progressive Choice “shadowy”, because of its ads against Charlie Crist, but if the word shadowy is to be used at all, it certainly should be used in connection with Charlie Crist and who is donating to HIS campaign to be Florida’s Governor again! According to Gossip Extra, Onajite Okoloko is a part of that whole Scott Rothstein ( ponzi scheme, judgeships for sale), Harry Sargeant (war profiteer) crew. Apparently Okoloko was at Charlie’s 52nd birthday party/fundraiser, and also was a part of Sargeant’s whole bundling deal with John McCain that went bad. FEC records show that part of the money John McCain returned that was bundled by Sargeant belonged to Okoloko. Don’t get this bad bundling deal mixed up with Rothstein’s bad bundling deals either. They both did shady things that involved Charlie Crist and John McCain. Anywhoo, back to the meat and potatoes of the matter. Okoloko dropped a total of $100,000 dollars ( and probably counting), to Crist’s PAC, Charlie Crist For Florida, which last time I checked, was being run by former Florida Democratic Party leader Bob Poe. Just an aside, I’m really starting to question the judgment of the Florida Democratic Party. REALLY! Gossip Extra points out that Okoloko has given $155,000 dollars in 2008 to candidates of Harry Sargeant’s choosing. Is more shady bundling going on here? I guess if the Crist Campaign, Okoloko, or Harry Sargeant, would return phone calls on the subject, we’d know, or at least we’d know what their comments were. How could we EVER really know truth about this money. What I do find sad, and heartbreaking is the fact that Nigeria is a country that has been suffering for years at the hands of various people, including people they trusted as their elected officials. It is alleged that Okoloko is a partner with a convicted criminal, James Ibori, who has admitted to looting that poor country and those poor people of 250 million dollars. I have to wonder how much of that ended up in Charlie Crist’s coffers! I’m going to have to say I guess Charlie Crist likes black people after all, if they are from Nigeria and dump questionable money into his campaign! !